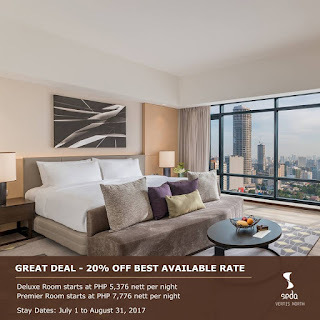 Take advantage of the Seda Vertis North's Great Deal Promo and spend an overnight or two at the largest and premier hotel located in Quezon City! 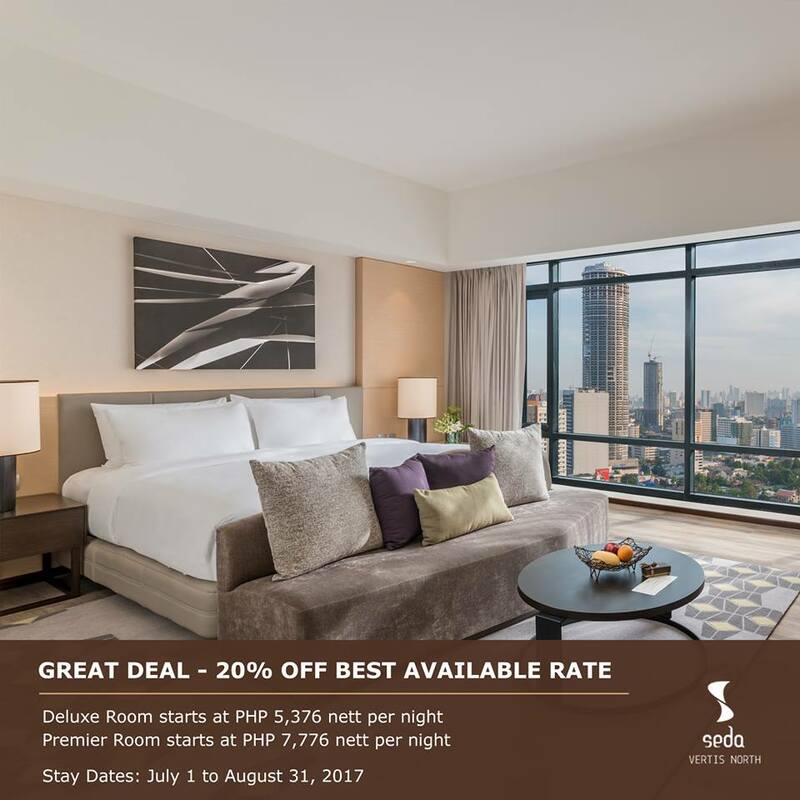 You can get stylish accommodation and seamless service​ in a Deluxe Room at PHP ​4,480 ​++ per night or Premier Room at PHP ​6,480++ per night including buffet breakfast for two (2) at Misto, complimentary internet access, and complimentary use of pool, gym and e-lounge. Few rooms left under this offer. Hurry, book now! Visit http://bit.ly/2umviJ5 to get instant confirmation.